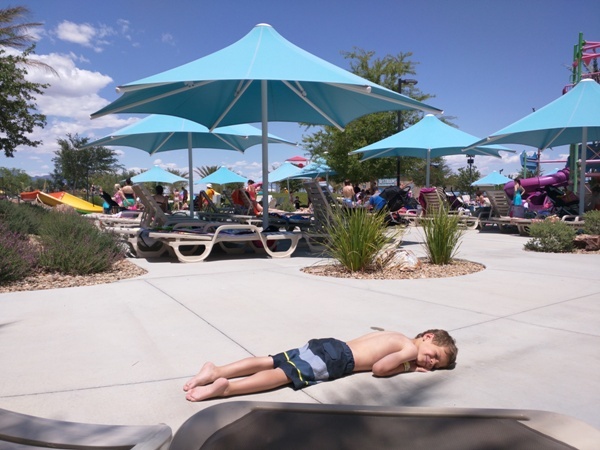 One of the great things about being a Las Vegas blogger is that there are so many incredible activities for you and your family to do and write about. 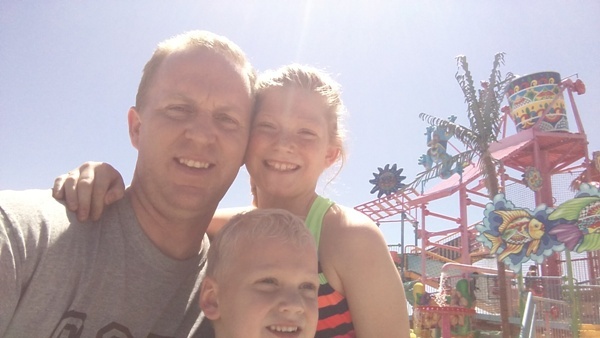 Yes, there’s the other side of vegas, but most people are surprised by how many family friendly things are available in Las Vegas. When we first moved here about 10 years ago, it was shocking to think that Las Vegas had no waterpark. Something about the heat of Las Vegas and no waterpark didn’t sound right. However, over the past couple years, Las Vegas now has 2 waterparks. 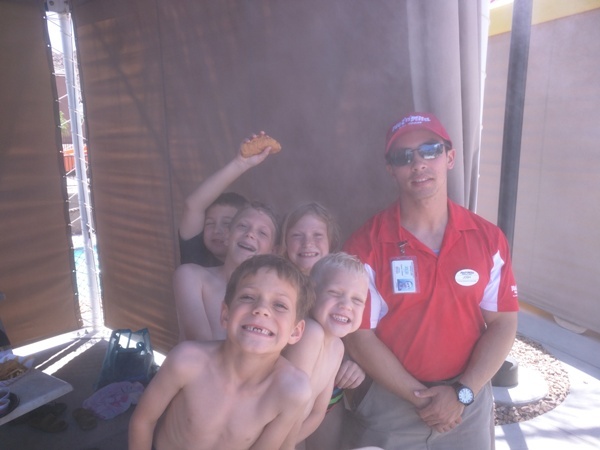 To kick off the Memorial Day weekend and summer, I was given some tickets for my family to attend Wet ‘n’ Wild Las Vegas. Not one to pass up an opportunity to skip work and go to a waterpark, I jumped at the chance. The Crash Wife and I were interested to compare Wet ‘N’ Wild to Cowabunga Bay in Henderson. I’ll admit that we haven’t been to Cowabunga Bay this year and so we haven’t checked out the new slides, but we both came away loving Wet ‘N’ Wild much more. The kids area was better. The flow between slides was better. The pizza was better. 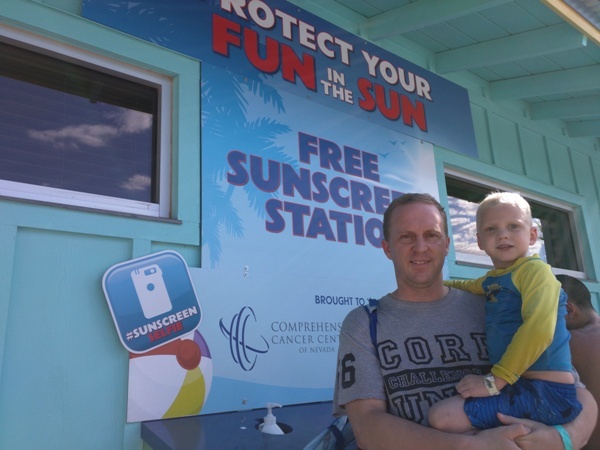 In a pretty genius move, Wet ‘n’ Wild even offers a free sunscreen station thanks to Comprehensive Cancer Center of Nevada. Smart advertising for them even if they’re trying to prevent new customers. Consider all the white boys we have in our family, this was essential. Crash Kid #1 suggested that if I really wanted to show Wet ‘n’ Wild on my blog, then I needed to get a go pro and hold it while I went down a slide. I told him we’d have to see if we could do that next time. I’m not sure the lifeguards would have been too happy with me doing that, but I’d have certainly been game. All in all, a fun time for the Crash Kids and me. Thanks Wet ‘n’ Wild for the tickets. I’m sure we’ll be back. In fact, I think the Crash Wife has purchased more tickets already.